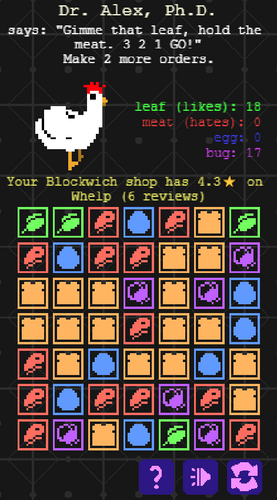 In Blockwich Shop, use your block-matching skills to construct enormous sandwiches and feed hungry, hungry animals. 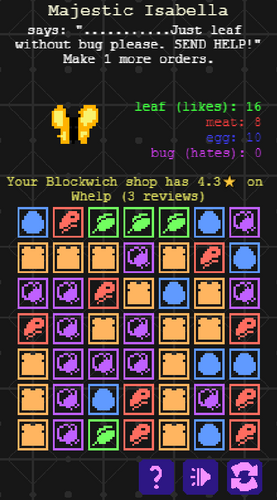 Try not to get any 1-star reviews on Whelp! 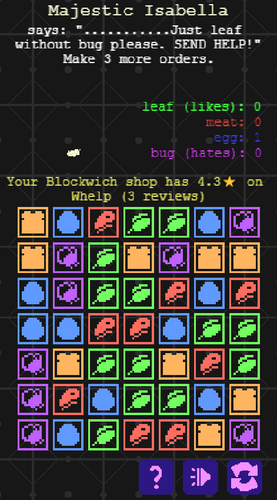 Mobile-first design. I'm in love with the tricky puzzles! !